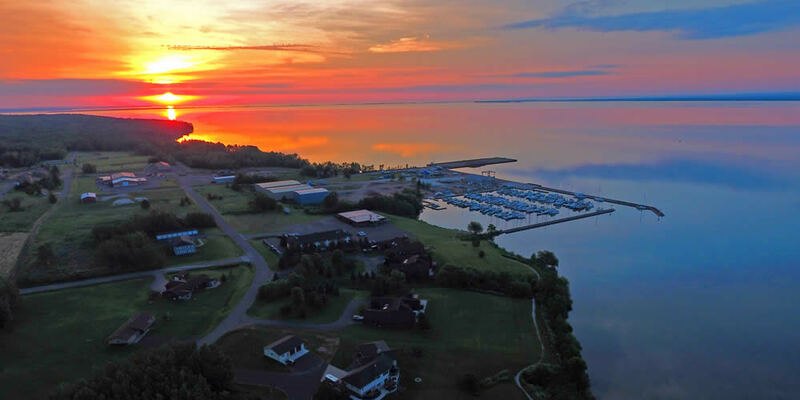 Lake Superior at your feet, the Chequamegon National Forest at your back, with a whole lot of culture in the middle. Washburn offers phenomenal sport fishing whether it be by boat, from shore or on the ice. 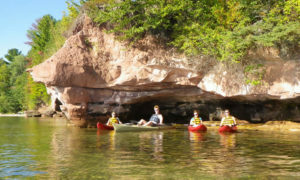 And Chequamegon Bay is the perfect place to put paddle to water. Alluring beaches, inspiring sunrises, limitless night sky and that's just the beginning! Enjoy the walking trail for birding and more that connects the two Lakeside campgrounds. Tour the area by biking, hiking or car. Visit the museum and cultural center and learn of Washburn's history as a milling and shipping town. You may want to include some "taste time" in your day at any of our memorable establishments! Surrounding Washburn is the Chequamegon National Forest that provides hundreds of miles of trails for the outdoor enthusiast. There are local class A trout streams and nature preserves to be explored. Don't forget to take in some show stopping entertainment at Big Top Chautauqua and Stage North. Local events, races, micro breweries and more. Spring, summer, fall or winter visiting Washburn is an experience for the senses! So pack your bags and come to Washburn, Wisconsin. Better yet, why not move here? © 2018 Washburn Area Chamber of Commerce. All Rights Reserved.